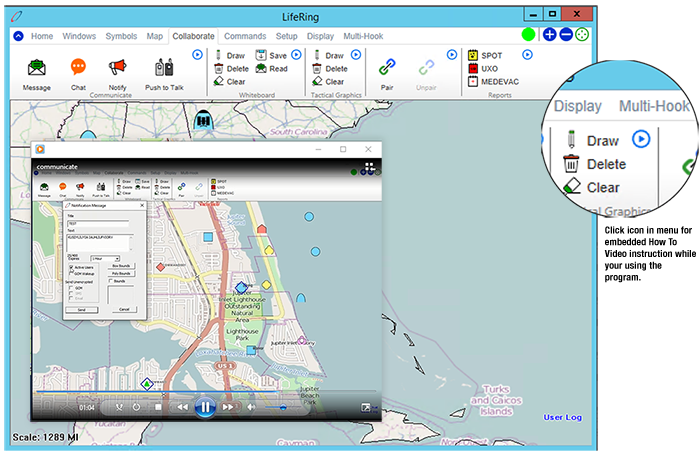 LifeRing 5.05 Now Available with Integrated Video Tutorials and Operates on AWS – AGIS, Inc. The Latest Version of LifeRing’s Command and Control System Includes an optional “add on” installer that enables integrated video tutorials embedded directly into the application menu. Next to each menu section, you’ll see a small, blue “play” icon. Click on this icon, to view a video walk through of the section and it’s functionality. Our latest demo release is currently running on an AWS (Amazon Web Services) Server making it an extremely portable, secure and cost-effective option for your C4I needs. Please go to www.agisinc.com/download and register to try it for yourself.